Should corporations call out competitors? We see it in politics all the time: commercials that call out the negative aspects, false advertisements, and empty promises of competitors. As someone watching these commercials, I often feel like I’m watching a couple bicker—it’s awkward. This petty form of persuasion doesn’t really leave a winner in my mind; rather, it makes me want to oppose both parties. But what if this same method is used for our everyday products? 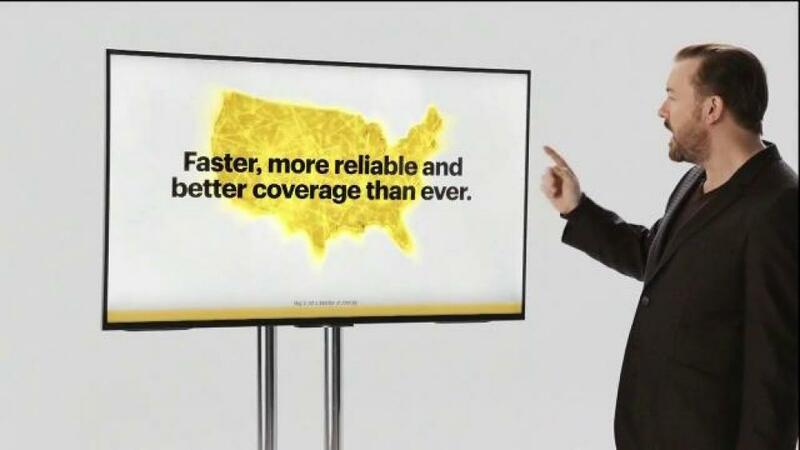 Recently, Verizon hired comedian Ricky Gervais to do a commercial spot where, instead of highlighting all of Verizon’s features, it calls out its competitor (Sprint). In the ad, Gervais states that their competitor “stretches the truth” when claiming to have the fastest and most reliable network. He also goes on to say that having the fastest, most reliable network in Kansas (the location of Sprint’s headquarter), is like having a parachute that only opens in Kansas. That’s no good. Consumers want a product such as cellular reception to be reliable everywhere, just like a parachute. Often in politics, we don’t vote for the candidate that we like, but rather the candidate we hate the least. A world where we are choosing the lesser of two evil sounds like a pretty horrible place to live, huh? A world where we are calling each other liars and saying that a billion-dollar company is incompetent and irresponsible is worrisome place to live. A world where we spend more resources racing to the bottom, reaching the lowest common denominator, and striving to merely meet expectation is a scary place to live. Calling out a problem does not solve it. One-upping competition by small margins doesn’t solve it either. Enough talk about what others don’t do. Regardless of whether you are a politician, a billion-dollar company, or my co-worker, I don’t judge you by your competition, I judge you by your actions and achievements. You give me results as promised and there is no reason why I wouldn’t pick you over someone else. I would trust you. The way you develop a reputation is by focusing on service and innovation, not by dragging your opposition down so that you look better. If you want to be the best, you’ll need to try your hardest and not just talk smack. What is a fandom, anyways?